Home / Honours 3rd Year / John Dryden / Poetry / Summary / "Absalom and Achitophel" : Critical Summary and thought development. "Absalom and Achitophel" : Critical Summary and thought development. son and did not mind his weaknesses. The Jews were a strong and inconstant people. They were not happy with King David. They demanded more rights and privileges. They felt that since they had brought David to the throne, they had the right to expel him. But the majority of the people loved peace and did not like civil war. David was mild and gentle towards his subjects. Even so, the rebels made a plot against him which was called the Popish Plot. denied by the Catholics . However, Corah (Titus Oates) and his friends effirmed on oath that the plot did exist though it was not implemented. was cunning and corrupt though as a judge he was efficient and honest. He exploited the Popish Plot for fomenting a revolt against the King. He became the champion of the people's rights and a great enemy of the King. with the people and they would acclaim him as their Saviour. Secondly, the opportunity provided by the unpopularity of the King should be taken. Absalom might eventually get the throne. Thirdly, he should not be afraid of the King because he is old and powerless. Moreover, if he became the champion of the public, all people would join him in his fight against the King. 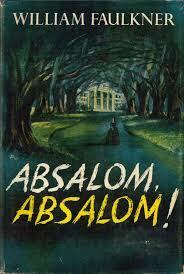 Moreover, Absalom had royal blood and, as such, he was the fittest person to succeed the King. he could not make up his mind. Firstly, he did not want to fight against his father who was mild and gentle. could not obtain the throne. welcome this revolt as he was afraid of his own brother James. Absalom in his revolt against the King. an opportunity to revolt against the King. took no action against the King's enemies in his capacity as a Sheriff. Wicked people had a glorious time as long as he was in office. magistrate murdered because he did not believe him. e assess their strength before openly declaring against the King. that the power rests with the people and that the people are sovereign. result that they gave him full support. who inculcated in the schoolboys, a sense of loyalty and discipline. If he showed any weakness, the matters will go out of hand. people wanted law and now he would deal with them according to law. The subjects had to obey him. His success against the rebels was certain because the enthusiasm of the mob was exhausted soon. He would meet the rebels according to his own convenience and crush them. God listened to the speech of David and blessed him. Law and order was restored in the country and the King's firm rule established.